Measles is back. The outbreak of this highly contagious viral illness that started at Disneyland in December has spread across the country and shows no signs of slowing. As of February 6, the CDC reported 121 cases in 17 states in this year alone, most linked to Disneyland. In 2014, we had 644 cases of measles in the U.S. This is a striking increase compared to the last 15 years, when we usually saw less than 100 cases in an entire year. I’m sorry that so many people have been sickened in this outbreak and hope that it is reined in soon. This is no easy task given our mobile society and the fact that we like to congregate in places like Disneyland, schools, doctors’ offices, hospitals, airplanes, and shopping malls. Add to that the pockets of unvaccinated people where measles can easily spread, and we have a recipe for still more outbreaks until we can improve vaccination rates. In this situation, I particularly feel for those who can’t be vaccinated. Babies under 12 months of age and people who are too immunocompromised to get the MMR vaccine, like cancer patients receiving chemotherapy, are counting on the rest of us to get vaccinated and reduce the spread of this disease. Right now, we’re letting them down. One positive outcome to this outbreak is that it has sparked lots more conversation about vaccines. It inspired me to be more public about proudly stating that our family is fully vaccinated. And I wrote an op-ed piece for my local paper, the Register-Guard, about the risk of measles in our community, given the low vaccination rates in our schools. I spent a lot of time researching vaccines last year for my book. The result is an in-depth look at vaccine development, risks and benefits, and safety testing and monitoring. I also cover some specific vaccine concerns, like whether or not we give too many too soon (we don’t) and if we should be worried about aluminum in vaccines (we shouldn’t). (I don’t just tell you these things, though; I break down the science for you.) I read hundreds of papers about childhood vaccines, talked with researchers, and felt more confident than ever about vaccinating my kids on the recommended schedule. There was one other bit of vaccine research that may have been the most meaningful to me: I flew to Florida to interview my grandmother, now 90 years old. She raised seven children before most of today’s vaccines existed. She was a mother during the 1952 polio epidemic that killed 3,145 and paralyzed more than 21,000 in the U.S. She was having her babies before a vaccine for rubella was available. That disease caused 11,250 miscarriages, 2,100 stillbirths, and 20,000 children to be born with birth defects in a 1964-1965 outbreak in the U.S.
My grandmother also nursed her children through the measles. Before the vaccine, nearly every child suffered through a case of measles at some point in childhood. During the current measles outbreak, I’ve seen some comments downplaying the seriousness of this disease. After all, most kids did survive measles without long-term consequences. However, many didn’t. Among those who didn’t survive was my grandparent’s second child, Frankie. In 1956, at the age of 6, he died of encephalitis, or inflammation of the brain, a complication of measles. 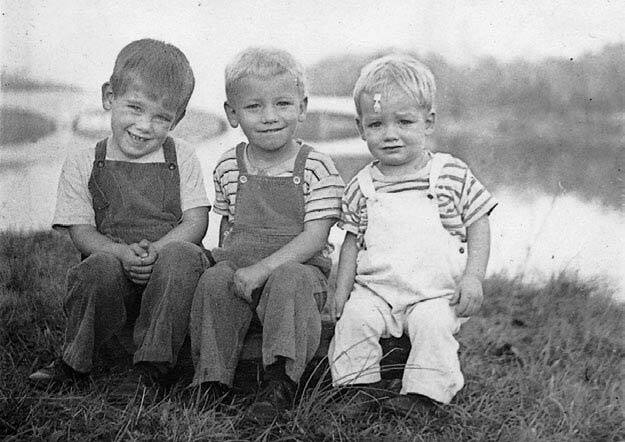 Three brothers (from left to right): Richard, Frankie, and Larry Green, circa 1953 or 1954, in Princeton, New Jersey. Frankie died in 1956, at age 6, of encephalitis caused by measles. Photo by Margaret Green, used with permission. In May of 1956, all three boys came down with measles. My grandmother remembers neighbors remarking that they were lucky to get it all at once, although this wasn’t surprising given that measles is one of the most contagious pathogens on earth. Those infected are contagious for several days before the characteristic rash appears, and the virus can survive in respiratory droplets, suspended in the air, for two days. Frankie died of encephalitis, one of the cruelest complications of measles, estimated to occur in about 1 in 1,000 measles cases. Even today, with the best medical care, about 15% of those with measles encephalitis will die, and of the rest, 25% have lasting neurological damage. Children’s book author Roald Dahl described his daughter Olivia’s death from measles, also due to encephalitis that developed when she seemed to be getting better. Frankie’s death was heartbreaking, and it came as a shock to my grandparents, but it wasn’t unusual. Before the introduction of the first measles vaccine in 1963, three to four million people caught the virus each year in the U.S. Of these, 48,000 people were hospitalized; 7,000 had seizures; 2,000 suffered permanent deafness or brain damage; and 500 died. One in 20 caught pneumonia and one in 10 got an ear infection. The incidence of complications due to the measles remains high today, too. In the current outbreak, about 25% of patients have been hospitalized. These are not just numbers and statistics. Frankie was a spirited little blonde boy with a wide smile, and the measles stole his life, ending it at age 6. Just like my children and your children, his parents loved him beyond measure. The development of the measles vaccine was an incredible public health achievement. It’s very effective, inducing immunity to the measles in 99% of people who receive the recommended two doses. After its release, the burden of this disease dropped dramatically. Measles cases reported in the United States between 1950 and 2010. The measles vaccine was first licensed in 1963. Source: National Center for Health Statistics, Health, United States, 2012: With Special Feature on Emergency Care (NCHS, 2012); Centers for Disease Control and Prevention, MMWR Summary of Notifiable Diseases, United States, 1993 (CDC, 1994). The story is similar for other vaccine-preventable diseases (see graphs for each here). The introduction of each vaccine has resulted in a huge drop in disease incidence, along with all of the pain and suffering, health care costs, and lives that came with them. There’s a boatload of scientific evidence to support the safety and efficacy of every vaccine on the recommended CDC schedule, and I appreciate that science. Still, I think that one of the most compelling cases for vaccines comes from history. Vaccines have been so successful that most of our generation gets to live in the ignorant bliss of never having seen these diseases, much less in our own children. We live in a privileged time. Just a few generations ago, our grandparents had no choice but to nurse their children through painful diseases, knowing there was a chance of serious complication and even death. Worldwide, measles still killed 122,00 people in 2012, mostly in parts of the world with limited access to the vaccine. But here in the U.S., our generation of parents has a choice. We get to choose whether or not to vaccinate our children. And oh, how we treasure that choice. The trouble is that we’re so far removed from the pre-vaccine era that we can make the mistake of ignoring the stories of our grandparents and great-grandparents, stories of kids like Frankie. And we can make the mistake of believing that we make our choices in a vacuum. When we’re talking about infectious diseases, nothing can be further from the truth. Sure, a few can choose not to vaccinate, in addition to those who have a medical reason not to, so long as the rest of us do our part to maintain herd immunity. However, when too many make that choice, the disease regains its strength, and its first victims are often the most vulnerable. I wrote most of this post while holding my 7-week-old baby boy. He is fighting his first cold right now. It’s just your run-of-the-mill cold virus, but his nose is filled with snot, and he has a sad little cough. I know he’ll be better soon, but I hate to watch him suffer. Mothers and fathers will always be nursing their babies through illness, but I’m glad to be a parent in the vaccine era, when herd immunity and my baby’s own immunizations can protect him from the worst of the world’s infectious diseases. Let’s hope we can keep it that way. ← Introducing Our New Baby Boy! I am so, so sorry for your family. Thank you for speaking up on this. I just received a letter 2 weeks ago that measles has come to my son’s school. It’s so scary. I’m sorry you’re seeing cases so close to home. This whole situation is terrifying. I have a 4 year old and a 15 month and they’re vaccinated but to know that there are babies in jeopardy breaks my heart. I hope they get a handle on this. Hi Kara – my book will come out this fall. I’ll be sure to announce it, with ordering info, when it comes out. Thanks! I just read this post and have tears in my eyes. Frankie looks JUST my oldest son, who is now 7 years old. Why don’t people realize how incredibly serious this and other VPD are?? Why do they want to go back to a time where this was common? I know, I’ve heard and read this story many times now, but I still tear up when I think about Frankie. For kids that have gotten their first dose of the MMR vaccine, but are too young for their second, what is their level of immunity? Is it less than the 99% you cite for those that have had both doses? I guess I’m just wondering how worried I have to be about my 2 year old. One dose of MMR induces immunity in 95% of recipients. With the second dose, we get to 99%. (See here: http://www.cdc.gov/vaccines/pubs/pinkbook/meas.html) You could check with your pediatrician about getting the second dose early – it can be given as early as one month after the first dose. My girls are fully vaccinated and I think it’s wrong that people refuse to get their children vaccinated – it is so selfish of them. My Mother was born hearing but after catching measles in the 1950’s became profoundly deaf, it had a huge impact on her life an that of her family. It’s worrying that diseases like this are on the increase. My husband was born blind in 1976 because his mom caught rubella. I don’t know if the MMR wasn’t available to her, or if she was too sick (she’s a survivor of childhood cancer) or that unlucky percentage where the vaccine didn’t stick. I was fortunate that when I contracted scarlet fever (sadly not preventable), I only lost the hearing on one side. The other’s normal. Still kinda bites in some situations. Your mom must have a lot more annoyances to deal with. Thank you for sharing this Alice. I have thought of Frankie and the family’s experience so many times since this measles outbreak. Congratulations on your beautiful baby boy . how can adults find out whether they are still immune? I don’t have my shot records from when I was a kid. Do I need a booster? Your doctor can order blood tests to see if you have the antibodies. It’s also easy enough to just get a booster, which is what my OB-GYN recommended I do when I was planning on becoming pregnant. Measles is back in Canada as well. Thank you for sharing your family’s story. Congratulations to you and your family!! Beautiful post. Thank you for sharing your family’s history. These stories are lost in the American memory hole and we need more of these accounts in the vaccine conversation. Throughout your research did you look into the immunizations of premature babies at all? Specifically, immunizing them on their actual age vs adjusted age? My baby was born two months early, so at her two month appointment she will be an adjusted age of a brand new baby. If a baby is less than 6lbs at two months is it still advisable to get all of the normal two month shots? My son was also born nearly 2 months earlier. He received all his vaccines with his Birthday cohort, not according to the due date. My neice was two months early, born in October and she just got her 4 month shots the other day. So itmust be based on actual age, not due date. She was small, but completely healthy. I don’t know if she would be getting the shots on time if she had any medical issues. My son, who was born at 35 weeks, was advised to have the jabs at his actual age and I must admit it caused severe reactions. He now suffers from very bad eczema as a reaction to the Men C jab. There is no race to get your baby immunised so go with your gut. I respect a lot of what is said in relation to pro-immunising your children. But children can and do react to the immunisations. Parents are not ‘selfish’ for not immunising. We nearly ALL love our children more than ourselves and there are always two sides to the story. My advice after my son reacted badly to the jabs is – do your research on both sides of the story, only then can you be objective, and then make a decision that is right for you. There is other side to this other than a scientific one. If you choose not to immunize, understand that the risk of that choice are higher than the risk from being vaccinated. Please understand your choices have consequences for others. This is why, as a new parent, I have been asking potential pediatricians about whether or not they accept patients that voluntarily refuse vaccines. Any pediatrician that leaves it up to the parent to decide is immediately dismissed from our list. When somebody takes a sick, un-immunized child to a pediatrician, it exposes everybody, including those too young to immunize. Thank you for sharing your story. My 17 mo old was behind on her vax, so I took her straight in for her mmr, and they were out! I went in again Monday and they had it. They said it was because so many non-vaxers were getting immunized. Which is good. Thank you for sharing your family story. It really hits home when I think about how lucky I am to have gotten to know my uncles and aunts. What a wonderful balance you strike between compassion and fact; this was a fantastic piece! I am a strong advocate of immunization, but I must admit to feeling sometimes we are not being told everything we should know about how the schedules are determined. I have recently moved back to the USA after many years in Australia, and I have had to catch both of my children up on the vaccination schedule here. My six-year old needed seven individual shots all at once (and some were combo shots, so it must have been at least twelve different vaccinations)! Our one-year old also needed several. Having moved between countries with them since they were born (one here, and one in Australia), I have always kept them up to date with whatever the local requirements are. However, it has always puzzled me that the schedules should be so different. We are all the same species after all; surely we should have the same basic immune responses! I know that some of it likely has to do with the local risk of getting different diseases, but I have found the explanation that doctors give me inadequate because some will say things such as, “well, since this one was given before he was one year of age then it is considered ineffective here…”. As I said above, surely ALL schedules should be designed so that they are at least effective when they do occur! Perhaps you can offer some insight into why some countries would have such different vaccination schedules from others and what it means for the safety of our children – especially when traveling? Are the local schedules really the ones we should be following, or do medical practitioners in other countries know something we don’t know (or vice-versa)? Lots of different factors go into developing schedules in each country, some of which vary from country to country – like disease prevalence and funding to put for the vaccines. There’s good information on this page and this one. You may also find different formulations in different countries, which could require different numbers of doses or spacing. Doesn’t mean one is better than the other, but it could make things a little tricky when moving from one country to the next. Thanks for reading my post! Yes. We are all human beings bit … nature did not make us all the same. For example the sickle cell trait helps West Africans fend of malaria. Europeans generally don’t exhibit the sickle cell trait. I’m going to start by saying I believe in immunizations/vaccines and my children have theirs. However, there are people every year who have very serious reactions to them, even die. It is why the government setup the vaccine adverse event report system (vaers). Google it. My sister was sick for a few days with a high fever after her flu vaccination last week. As a child in the 60s the doctor warned my parents i might die because of a severe reaction I had to a vaccine. And then 6 months later with the booster i again had a severe reaction. Today I still suffer with epilepsy that appears to have started from it. We tried to only have one vaccine at a time for my children in case there was a reaction. I had a nurse angry with me grab one of my children and run with him because she was angry that I dared to want only one vaccine. After I chased her down the doctor came to speak to me and admitted his child had died from a complication from a vaccine. He put an alternative vaccine schedule in my children’s files. I believe in vaccines. But I believe in one at a time and I believe the medical facilities should be required by law to enter adverse reactions into the vaers system so we can track those few people who have reactions and maybe find out why. I’m sorry to hear about your experience with the nurse. That’s really unfortunate. That kind of behavior can’t be helpful to a parent who is feel hesitant about vaccines! Deaths due to vaccines? Where is this information located please? And I mean actual deaths that are proven to have been caused by the vaccine itself, not (as in India, where a Gardisil death was actually a girl drowning), that was attributed to it. Wow. Broke my heart. These stories are so important to remember. My nana remembered getting the Spanish flu. She remembered being bed-ridden for so long that she forgot how to walk. Her mother had to carry her and do everything for her for months. She was old enough that she remembered having to re-learn how to walk. That was the flu! So grateful for vaccines. There are no words for people who denounce vaccines – if I have to be careful about peanut products that go to school why is it ok for some to send unprotected children to school to cause an epidemic? Science and medicine are sound and if anyone out there honestly thinks MMR vaccine causes autism perhaps they could move to a country where vaccines are not popular instead of complaining about non-existent or coincidental ailments. I for one am grateful that my children and their children have the opportunity to live in a world free of such nasty diseases. I’ve written on this subject within the past couple of days. It’s scary that we’re seeing this resurgence because of some skepticism and false science. I hope that this incident will remind people that vaccines were developed for a reason and they’re given for a reason. And that’s to prevent the most horrible diseases. Thank you for this story. I used to be a registered nurse, and started working at a children’s hospital just before the introduction of the Haemophyllus Influenzae B vaccine and remember how distressing it was to see babies come in with meningitis caused by this virus. I have also volunteered in Nepal with children who were damaged by these diseases. I have many friends who don’t believe in immunization, don’t actually believe it works, and their reasons can only be put down to the kind of “magical” thinking that believes all sickness is caused by unresolved “issues”, or other mental weakness! These are educated people, but not educated in the sciences. Indeed some of them have nothing but scorn for science in general. But I’m sure that if we had an outbreak of something like polio, such as they had here in the ’50s, they’d soon be lining up to be vaccinated. Unfortunately, I think that’s the only way people will learn how effective and important it is to vaccinate. More unfortunately, children will have to die. My eldest son’s girlfriend was never vaccinated and I’m sure will not vaccinate her own children. I hope one of my grandchildren doesn’t become a casualty of magical thinking. You have a beautiful family and thank you for posting your concerns. If I may, this is a highly controversial topic that I think should remain in the hands of the parents wether they choose to vaccinate or not. May I be so bold to ask, if the vaccines administered to our tiny babies were so effective, safe and trustworthy, then why is there an outbreak in the first place if they “protect”? Also, if the child is vaccinated why does it matter where he/she contracted the measles? Wouldn’t you have a piece of mind knowing that your child is well protected and not worry about such an outbreak? And why are unvaccinated children to blame as one of the sources of this outbreak? Did you know that based on an article from “NatralNews.com” written by a credible medical Dr., that the children who have been vaccinated hold a higher percentage of contracting the measles based on a comparison and open study of both vaccinated and unvaccinated children (the unvaccinated sitting at 6% of the population)? I respect your choice, but if your child is so well protected what is the issue for concern? Sincerely, a mother of 5 unvaccinated and thriving children. Courtney, with two doses of MMR, 99 out of 100 people are immune to the disease. That unlucky 1% is counting on the rest of us to be immune to stop the spread of the disease. Add to that everyone that can’t receive the vaccine for a medical reason – including babies less than 12 months of age, those whose immune systems have been weakened by chemotherapy, etc. – they also count on herd immunity. The more people make a choice not to vaccinate, then the more vulnerable the community is to the disease. Vaccinating your kids protects them but also contributes to the health of the entire community. Honestly, I’m not that worried about about my 4-year-old daughter (she just got her second MMR dose today!) – chances are really good that she’s protected from the measles. I am worried about my baby, who is just 7 weeks old and can’t yet be vaccinated, as well as other vulnerable members of our community. That worry is increased a great deal by the number of unvaccinated kids in my own local neighborhood. Your choice doesn’t just affect your kids. If you’re talking about the website Natural News – it’s notorious for spreading misinformation about vaccines, and I wouldn’t recommend taking medical advice from there. So why is it that natural sources of information are wrong but government controlled sites are ok? There are two halves to every story, including this one! There is much misinformation everywhere! It really boils down to what we think is best for our children. It’s what we believe will be the safest protocols based on our personal belief systems. I have certainly considered both sides, but I feel I am doing the best thing for my child as are you. I have heard individuals go as far as saying that mothers who choose not to vaccinate are poor parents and are selfish when all i am doing is making a conscious decision for my children. Mother’s who choose to vaccinate are also making a conscious choice in respect to what they believe is right for their children! Is one more right than the other? Is one more efficient as a parent than the other? To deliberately attack a mother for their personal choice (to vaccinate or not, in which i’d like to thank you, by the way, for not doing) is wrong and completely uncalled for. It’s a decision that they feel is a positive and effective one for the child. We still have a freedom of choice (just like a woman has a choice to abort or not) doesn’t mean it’s right or wrong, it’s a choice based on personal beliefs and what they feel is right considering all “facts” and circumstances. I believe by activating a child’s immune response the good ol’ fashion way, without chemical toxicity, is the only way to go. Until they develop a vaccine that only introduces the virus to the child’s body to allow the body to build antibodies without causing neurological or behavioural damage, i am sticking to what i believe. And just an added word or two; next time you’re at the Dr.’s office, ask for the handout they are supposed to give you prior to vaccinating your child. On the pamphlet, it lists the possible side effects of the vaccine and guess what two of them are? Autism and death! I’m sorry, although those risks may be “small” those are risks i am not willing to take. As an EMT, one of my co-workers saw a tragic case where an infant in a rear facing car seat in a mini-van had been pierced through the heart by a pen when his mother had to stop suddenly. Had the child been in a front caing car seat, he wouldn’t have gotten a scratch, but the rear facing seat caught the moving projectile and killed him. This is a sad story, but it doesn’t and shouldn’t cause anyone to put infants in the wrong seat. Comparably, there are sad stories about vaccines, but the overwhelming data from _all_ sources shows that the positive impacts of vaccines are so much greater than the negative as to render the negative statistically insignificant. In countries where measles are epidemic, my husband saw mothers walk for miles and even give up their own food to afford the opportunity to vaccinate their child. The problem is that we can imagine the bloody corpse of a child that isn’t properly securred in a car seat, so we are willing to listen to those options which increase their probability of survival. We can no longer imagine having our perfectly healthy child be dead or brain damaged in 24 hour due to a childhood disease because we don’t see it. Chicken pox can develop into shingles, while the vaccine cannot. Shingles is often just weeks of insane pain, but sometimes can settle in the cerebro-spinal fuild and cause a lifetime of agony. If you go to the source of those medical handouts, you can get the percent liklihood of all negative reactoins. You will find that you are more likely to get hit by lightening than to get any neurological reaction from the vaccine. Tell me – if your child gets sick, would you take them to the doctor? Would you trust the doctor to make them healthy? They why not trust that same doctor when they say that the best thing for your child is to not get sick in the first palce? I don’t have a medical doctor. I seek homeopathic alternatives. I know a woman, personally, and spoke with her regarding the chicken pox vaccines. Both of her children were vaccinated. One child never contracted the chicken pox while the other contracted a serious case of the shingles and was hospitalized. Again, both were vaccinated. There are pro’s and con’s to everything and i am respectful of the development of modern medicine and amazed at just how much information a human can retain to be able to basically reconstruct a human being! It’s incredible. I also respect the medical “professionals” and all that they attempt to do. But let’s face it, the medical industry and all of it’s affiliates are a business, after-all. There is no profit in health. I think instinctually, we as mothers know more than medical Dr.’s. They follow protocols based on the persuasion of profit and pressure to recruit patients. We do what we do out of pure concern and a profound source of love. I would never intentionally hurt my child. I have done countless years of research and have spoken to retired medical Doctors and came to my own conclusions. I think this is just a matter of agreeing to disagree. Neither side will be swayed and that is fine by me! It seems like you’re saying that this decision comes down to trust for you. You don’t trust the medical field. You do trust a woman you know, some retired medical doctors, and your instinct. I think Maggie makes an excellent point above. Consider how you would face medical decisions if your child was injured in a car accident or diagnosed with cancer. If the trauma surgeon said they needed to operate on your child to save her life, would you instead opt to do the operation yourself, because as your child’s mother, you instinctively know more? If the oncologist recommended a proven cancer treatment backed by extensive research evidence to improve your child’s outcome, would you instead ask a neighbor or the Internet what homeopathic treatment they would recommend? I doubt it. You would probably want the best-trained and most experienced doctors to treat your child. I don’t understand why trust for medicine sometimes falls apart when we’re talking about *preventative* medicine. Vaccines are backed by a huge body of evidence that they are safe and effective at preventing disease, and they’re responsible for saving millions of lives and improving the quality of life for countless children. As one who is immunosuppressed due to cancer and its effects, I thank you for this post! Thank you for this post. It’s very difficult to convince those who are opposed to vaccination that they should reconsider because it is an issue so close to the heart. Most truly believe they are making the best decision for their children, which, of course, is something we all want to do. The more mamas who do vaccinate speak out, with heart as you do, the better chance we have of swinging the tide. And now all this talk of purposely infecting children at ‘measles parties’. This disease can cause disfiguration and even death. Reblogged this on wezzie1975313's Blog. You’ve done a beautiful job making the implications of not vaccinating real, personal and emotional. How painful for your Grandmother and the rest of the family. So sorry about the long-winded comment here. I just feel like I have to bring up what isn’t usually a part of the conversation. Is vaccination really a choice for everyone? And are the poor another community benefiting from herd immunity? The low vaccination rates in Oakland may be in part because of access. Starting in January 2014, parents in California had to have an exemption signed by a health care provider if their child wasn’t up-to-date on the required vaccines. Before this time, parents could just sign the form themselves, and that might have happened in families without the time to get to a doctor, transportation, etc. The new exemption rule should reduce these numbers (and so far appears to be). Once at the doctor, the Vaccines for Children program can provide them free of charge. Hmm… thanks for the info. That is interesting. The data I was looking at was from a NY Times article published this month. It doesn’t specify the time frame, but I would hope they’re not pulling data as old as 2013! It also shows personal-belief exemption rates. Every school with a vaccination rate <60% had a personal-belief exemption rate of ZERO. It is definitely reassuring to hear about the Vaccines for Children program. Hopefully the schools are talking to families about that option. It’s a great point and based on those numbers, it does sound like access needs to be a part of the conversation. Maybe immunization clinics at schools? I think that where access is a issue, these kids tend to be under-vaccinated, not unvaccinated, so they may need just a few shots to get fully up-to-date. The latest numbers on personal belief exemptions just came out (for the 2014-2015 school year), and these are down with the new law that went into effect in 2014 (http://www.latimes.com/local/california/la-me-immunization-data-20150123-story.html). Thanks for all the info and response! It does sound like we’re headed in the right direction. I’m glad to hear both law and funds are in place to help vaccinate those who might not be actively against it. Again, beautiful and touching piece of writing. Often no amount of data or science can impact someone in the way that something emotional like this can. Congrats on Freshly Pressed! There was a recent piece on California that stated that it is the school’s responsibility to continue to notify the parents of unvaccinated children if they need to get their shots. However, because of HIIPA, schools cannot be directly informed if the shots occurr, so most just send out one letter once and don’t continuously follow up. Reblogged this on Usabaker's Blog. I love this post! My father and I were just having a conversation about this topic, and it’s interesting to read a personal story as well as statistics about it. Thank you! I’m 65, so I guess my memories are after the rubella vaccine became common. I didn’t realize the time before that. Measles was something everyone got. It was a common childhood disease. One child in each family would pass it along to the others and we would get to stay home from school for a couple of days. But, it was not considered dangerous. It was a normal childhood rite of passage. When my kids were young, it was still common to have the measles vaccine. If they stopped that, and generations of kids have not had it, I can now understand all the furor in the news. Thanks for the history lesson.. Most children in the US today are vaccinated, but increasing pockets of unvaccinated are leaving us more vulnerable to outbreaks. Measles was definitely common, but it wasn’t benign (as Frankie’s story and the statistics show) and for most kids it meant a couple of *weeks* home from school. Very well put! Congrats on your beautiful children, I hope you can cherish them forever! Thank you so much for putting this important information out there. People need to hear this. Reblogged this on The Bohemian Vibe. 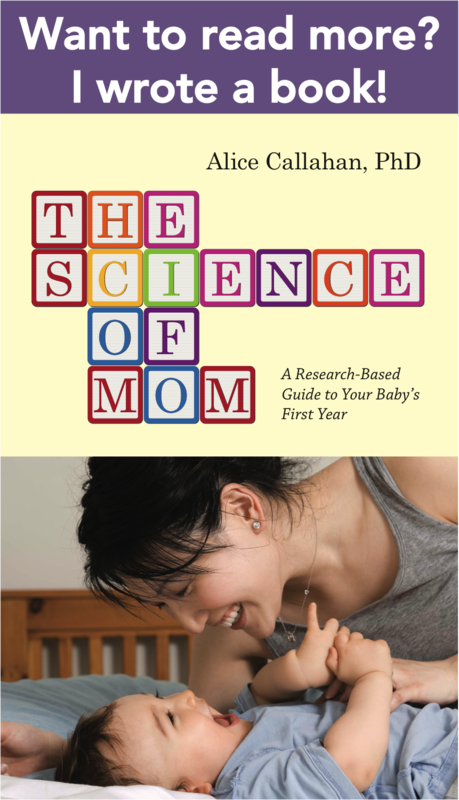 Great article and I hope your book helps inform more parents about vaccination. The very hard part to explain to parents is that in a population with very low prevalence of a disease, a vaccine is more likely to be highlighted because of the very small number of reactions and other adverse effects rather than its greater preventive value. Reblogged this on dr7ack corner. I myself grew up in an era where vaccines were not available and my mother prepared me for everything that came along and then nursed me thru them! I had whooping cough when a baby and it was really bad as my mother always said. She was always concerned with all the other diseases but we made it thru. When my children were growing up they all had their shots and had no problems! I believe in utilizing well educated medicine in every case! Thank you for sharing your grandmother’s story with us. I hope more stories like this will reach out to parents who are unsure about the vaccine and bring them around. I’m sorry for what happened back then. Your post is very well written and it hits close to home: close enough to perhaps change the mind of several anti vaxxers. A very great read. Vaccinations are important! What a moving story. Thanks to you and your grandmother for sharing. 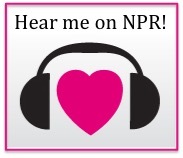 My heart hurts for your grandmother – thank you for sharing! It makes me angry when people choose not to vaccinate for any reason except genuine concern for their own child’s life. When they do, with their choice they are saying that their lesser rationale matters more than your uncle’s life. I am so grateful that I have been able to vaccinate all my children! It didnt start in Disneyland it started in South America and came up with all the unscreened Obama Dream children. So thanks for that, and whopping cough, mumps, borders have a reason. a) She doesn’t need common sense – data and actual facts agree with her. This link below is a clear break down of why it is unlikely (I am a scientist, so I won’t say impossible) that illegal immigrants are the reason for the current outbreak. And we know how previous outbreaks came about and they did not involve illegal immigrants either. Please note the part where the vaccination rates for measles in Latin American countries are as high or higher than in the US. And the part where people coming in through the border last year were required to take vaccination if they did not have documentations that they had been vaccinated already. b) so called “Dreamers” have been is US for the years – that’s the whole point! If they got measles from anywhere it would be from the US. right, you’re a scientist. Where did you get your data from. She linked to an article that breaks it down pretty clearly, whereas you haven’t provided any evidence for your claim. Lol, let me explain for you Obama voters. The border is wide open 10s of thousands of infected people were snuck through with the help of O. Communities that received the children also received diseases. Google lind Massachusetts outbreak. So im not interested in a link war. If you 2 dont have the sense to realize that thousands of disease ridden people being snuck into our communities, is going to cause outbreaks then your beyond hope. Oh yeah, The Forbes article agrees with me. Only 1/2 of measles cases were attributed to US citizens returning from abroad. Huh, i wonder where the other half came from – surely NOT disease ridden aliens. Also Forbes magazine is pro amnesty and not a medical journal, the author doesn’t source her most of her data. Which means as the scientists you claim that you are, you should dismiss this article as an opinion piece. Incidently, measels is the least troublesome disease your president has flooded us with. Obamas kids are being housed at taxpayer expense in various church organizations, a field trip is not unreasonable. Honestly, I dont get why you guys cant see the obvious connection. Even that linked Forbes article attributes the known patient 0s to international traveling. Its surprising to me how eager everyone is to believe that 10s of thousands of sick illegal aliens being dumped into our communities wouldnt be the cause of mysterious disease outbreaks. RSV, Whooping Cough, Measels, Consuption, all endemic south of the border. Suddenly appearing here in little hotzones around Obamas children. In logic theres a principal known as ocams razor, essentially the simplest explanation is usually the correct one. Reblogged this on The Red Rose Blooming In Winter. I wonder if this Measles outbreak actually started at Knott’s Berry Farm, but people were like huh, where the heck is that? So it was changed to Disneyland. #MeaslesConspiractyTheory Congrats on being Freshly Vaccinated, oops, my bad, I mean Freshly Pressed. Reblogged this on history and logic. Sooo true. My mom’s sister died from Polio. She caught it from a public swimming poll. Can you imagine? Thank you thank you thank you! I have been attempting to put this hot topic into my own words, but I like yours a whole lot better. I’ll definitely be linking to your post. It sure sounds like you’ve done all the leg work (research) so we don’t have to. I can’t comprehend some of the reasoning I’m hearing about not having children vaccinated. Truly, this shouldn’t even be a discussion! I read a piece today about being “anti-braking” http://robertmoorejr.tumblr.com/post/110101466091/im-an-anti-braker – a spoof of anti-vaxers. Thank you for sharing your grandmother’s story. There’s a reason vaccines were accepted in the first place – people back then were personally acquainted with the alternative. Way too close to home. Measles are now in Toronto. It freaks me out because I have a 2 month old who needs to go to the doctors office for his normal check up. I wrote a personal reminiscence on my blog About Change about the pre-vaccine era as well, and my feelings about the current measles outbreak. I’m reblogging your post as well. A moving story, one that I hope we don’t see repeated! The comment section is especially important as the author has done substantial work on this topic. I wish more people would pay more attention to stories like this and less attention to celebrities with partial information. My heart breaks for the children who’s parents are “too smart” or “know they’re child better” than the medical community. So sad. This is a very devastating disease. I a very sad to hear about your family. But, how do you think we can spread awareness for measles? Would people be willing to listen? It is truly scary to see the number of cases increasing by the moth. Reblogged this on Random Acts of Snark. Sorry about Frankie. But it’s history lesson to be passed on. First of all, what a balanced well written post. By balanced I mean just the right touch of mom, scientist, and history. I too wrote a post on my decision to vaccinate, although we didn’t always vaccinate on time. What I also appreciate has been your responses to comments. As much as we parents rely on trust, hoping our doctor speaks the truth, is up on all of the right information, you have put yourself in the position to know all the information yourself. Rather than spouting off and telling people their imbeciles, you have stated your point with data and offered other resources. Thanks for that. Thank you for educating your readers. There is another danger as well. When pregnant women, especially in the earliest trimesters, are exposed to the German Measles, there is a greater risk of birth defects. People forget about that. Good article! Sound reasons to get your children vaccinated against Rubella (German Measles)!! Скачивайте приложение WHAFF и вводите мой инвайт код: AV78154 С помощью этого приложения можно заработать деньги скачивая игры и выполняя задания! Лично я положил на стим 22$ Это не обман! Проверьте сами. Thank you so much for writing about this topic! It’s so important. I don’t know if someone already mentioned this or not. I didn’t read through all the comments. But, recently I took my 4 month old to a check up. The doctor said he could get his measles vaccination. I was thrilled and so relieved, since I’d been so stressed out about it. The pediatrician said he’d have to get it again at 12 months, but I was fine with that. Knowing he’s vaccinated for measles puts my mind at ease. And it’s been 5 days since the shot, and he’s doing just fine. May all those affected with measles get better soon. Thank-you for the post. Beautifully written. I’ve been working in Pediatrics for 30 years and I remember what it was like before we had all the vaccines we have available today. We all felt so helpless and ineffective. My mother-in-law has told me the story of when her younger brother contracted polio. The whole family was quarantined in their house for I think six months and her brother was required to stay in a iron lung. Can you imagine a little tiny kid trapped inside an iron lung for months (without video games)? I can’t imagine how awful that must have been for the entire family. But most of the people making these decisions to not vaccinate their children are not old enough to remember any of this (most of them aren’t even old enough to remember when MTV was really just for music videos). I think this is why they are so cavalier about refusing to have their children vaccinated. I wish I could take the pictures I have in my mind’s eye of all the children we couldn’t save or who were irreparably devastated by the illnesses for which we now have vaccines and show them their lovely little faces. Great post! It is very sad to see how such a breakthrough as vaccination development which has saved millions of people has been taken by the new generations with suspicion. I think it has to do with the fact that they haven´t experienced how serious children´s diseases can be, like unfortunately your grandparents did. As a scientist and a citizen I think that certain shots should be compulsory. Liberty in these matters put in danger innocent people, like small babys or people with immunity problems. Very informative and well written. Thank you. …as a mother and healthcare provider, I can’t stress enough the actual/potential threats of this disease. I am an advocate of informed consent, I advise all of the concerning parents out there to LEARN about the risks/benefits of vaccination from evidence-based sources. It can’t be denied that measles can kill! This is one of the better written posts that I have seen on the topic. I am looking forward to your book. Medical technology has increased dramatically since the 1960s for the treatment or prevention of secondary complications such as pneumonia. However, every hospital has a limited number of facilities for handling complicated cases such as meseales. When the case numbers are small in a local area, those resources can be fully put in play for each patient. If the number of patients in a local area start to outstrip the capacity of that area, then doctors sometime have to resport to second line trreatements. That is why large outbreaks can be so deadly. Please correct me if I am wrong, but aren’t the percentages of deaths very low- to-rare from the measles and if they do occur, it’s normally from a complication other than the measles (like pneumonia)? From my understanding from what I have read in various articles (pro-vaccination and anti-vaccination) the cases of death only occur in seriously compromised Immune system cases? (autoimmune disorders, patients that have been exposed to chemotherapy drugs, the elderly, etc in which I think you did in fact mentioned numerous times above). So, if this is indeed true, wouldn’t the outbreak only occur in the population of the ones who are either un-vaccinated or the ones who are already seriously ill or trying to overcome illness? and what is that percentage in comparison to the ones who are ultimately immune to the measles (as per the previous statement that after the second dose of the MMR vaccine we are 99% immune to the measles). I think it is safe to say that the majority of children today are still vaccinated (and the amount of un-vaccinated children although on the rise are still a substantially smaller group compared to the vaccinated children). So, I think all would agree that as terrible as it may sound, this measles “outbreak” would only spread among those who are not vaccinated or whom already have compromised Immune responses and that the ones who have been vaccinated already (the ones with the two doses of the MMR of course) are completely Immune and will not contract the measles. Does this not sounds oddly familiar to the states of the influenza virus? Yet there are far more deaths a year from the flu than from the measles. I think we need to shift our awareness to far greater concerns. This measles fear-mongering is yet another distraction. We are so much smarter than this. We need to look at the bigger picture. Love and light to you all. While the average across the country is still high, in some areas, the vaccination level has dropped into 70% range. A rate of approximately 92%-94% is what is necessary to prevent the spread of a disease as contageous as measles. Influenza is lower, plus has a seasonal die-off/die-back. When vaccination rates drop below the threshold, measles runs the risk of becoming endemic, which means that the unvaccinated (all children under 6, the sick and the elderly) are perpetually at risk. Additionally, mumps and rubella can have serious long term concequences, especially if caught by pregnant women. You seem to be advocating that all children under 6 are disposable – this might not be the best blog for that point of view. Does it really matter if you die of measles or the complications there-of – you didn’t die when the car hit the tree, you only died when you actually were decapitated by the car crunching around you as you went through the window… But you still have a death that could be prevented by anti-lock brakes. Some of the complications such as encephalitis are simply not treatable. They still kill, and if it doesn’t, long term brain damage is a very likely outcome. I often hear medical professionals use the phrase “break the chain” – which means that you stop the cascade of events at the easiest possible point. In this case, it is a shot in the doctor’s office when you are going to be there anyway. I’ll add just a couple more points to Maggie’s excellent reply. First, the measles vaccine gives 99% of those who receive the recommended two doses immunity to measles. That means that for every 100 people vaccinated, 99 will be immune and 1 will be non-immune. Now, that’s an excellent vaccine. There are few things in medicine that we can say are 99% effective. (Can you imagine if there was a medicine you could take that would give you 99% insurance that you wouldn’t get cancer!? Wow, that would be incredible, right?) But even with that excellent efficacy, we have 1% of the vaccinated population still vulnerable to catching measles, and they don’t even know that they have that vulnerability. That 1% is not a big deal so long as the other 99% is immune to measles, because the 99% will protect the 1% by preventing the spread of the disease should it enter the population. Then add on top of that everyone who opts out of the vaccine for whatever non-medical reason. We can probably handle 1-2% of these “free-loaders” (that’s actually the academic term for it). But in some communities (including mine), that can be 10-20%, and in some schools, the rates climb far higher. Those people have a choice (or rather – their parents do), and if enough of them make the choice to opt out, then we have real potential for outbreaks, and these endanger everyone without immunity, whether by choice or not. Second, I agree that flu causes more morbidity and mortality that measles. There are a couple of reason why. The most important is that it is so difficult to make a good flu vaccine, because the flu viruses that are circulating in any population change from year to year, so we’re constantly chasing different viruses. The second is that flu vaccination rates are relatively low. Both of these reasons are big concerns and things to work on to bring down the burden of the flu. But measles is actually a much easier disease to control because we have such an excellent vaccine, and it only takes 2 doses in childhood to confer lasting immunity (rather than yearly doses necessary for the flu shot). This is exactly why the burden of measles is so much lower – currently – than flu, and it is why your children and other intentionally unvaccinated children are still unlikely to get measles. All of that would change if we all made the same choice and opted out of the vaccine – then ALL of our kids would be getting measles, and we would all suffer from that. THIS is the big picture. We don’t get complacent about preventing measles just because we still aren’t very good at preventing flu. Phew, sorry for the long-winded response. Obviously, I think this is an important topic! When my kids get multuple vaccines at once they have a reaction. When they get one at a time they have zero reaction. That is all the research i need for my alternative schedule. They still get vaxxed, they are not traumatized, and i will take the inconvenience to my schedule in exchange for their greater well being any day. Thank you for taking the effort to make sure your children DO get all their vaccinations despite the reaction! There will always be a small percentage of the population who are sensitive or allergic to items that other people are not. (My husband is anaphylactically allergic to tarragon and marijuana.) So many parents just give up at that first reaction, so it is such a good sign to see you and your doctors continuing on to find a way to give your children the huge benefit despite their underlying issues. I wish more parents were as dedicated as you. I enjoyed your mixture of facts and personal account on the issue of measles. It’s a very hot topic right now. Thanks for your writing. Reblogged this on Mommy's Mayhem. Reblogged this on Mittens and Mascara. Hey! Just started out my blog. Please have a read of my first post. It is also about and outbreak of an infection. It might be of some interest. Thankyou! Reblogged this on Tarja Barton Illustrator. I was vaccinated as a child. I have since been advised to get a Hep A vaccine and tetanus booster. I have opted not to, mainly because of the additives in those vaccinations…formaldehyde, Mercury, bovine, etc. I just don’t see why these haven’t been replaced with ingredients that aren’t toxic and don’t causes cancer. I do however think it’s a personal choice and you can’t be mad a parent who doesn’t want to introduce toxins to their new babies body. I’m glad to see this conversation topic is picking up listeners. Look up the ingredients, be informed, then decide. Leigh, if you don’t have a chemistry background, these vaccine ingredients CAN sound scary. It’s important to note a few things about them. First, as with all substances on earth, the dose makes the poison. Water and oxygen, as well as essential vitamins and minerals, can all be toxic if you have too much of them. The amounts of these vaccine ingredients are so small that they aren’t harmful – our bodies can metabolize and excrete them. Second, these ingredients are there for a reason, and in fact, they make the vaccines safer and/or more effective. Formaldehyde, for example, prevents the growth of bacteria in the vaccine and inactivates the pathogenic proteins used in the vaccine, and the amount of formaldehyde used in vaccines is far less than that found in many common fruits, like pears and bananas (also harmless amounts). As for mercury, childhood vaccines in the U.S. used to include a chemical compound called thimerosal, used to prevent bacterial growth in the vaccine. Thimerosal contains ethylmercury, and for a while some parents and scientists worried about this ingredient. However, we not know that ethylmercury is rapidly excreted from the body (unlike methylmercury, the type found in fish, which is much more harmful) and the amount previously used in vaccines is not a concern. Regardless, thimerosal is no longer used in childhood vaccines in the U.S. If you research vaccine ingredients and find accurate sources of information, you’ll see that they are not a safety concern. For me as a mom, it extra-important to keep myself and family healthy, and to be in good shape to take care of my children. There has never been any wise step to take than getting vaccinated against preventable diseases. It’s just as simple as ABC. I’m the daughter of a polio survivor in the 50’s he was a baby and unable to be vaccinated. He was the line survivor of 26 other babies in that ward. This was a lesson I learned from my grandmother as well. He was mild deformities. These deformities were passed to me as well. Crooked and deformed fingers are the trait my sisters and I share with our father. He has one leg that’s slightly longer than the other. I take vaccines seriously. I wish others would stop with there herbs and oils and understand this will not save your children. What will they do if the unthinkable happens. I hope it never does. This is an excellent post and appears to have stimulated respectful discussion of an important medical issue. You have gathered a group of thoughtful comments and even the disagreements are handled civilly and with honesty. My experience is that these types of discourse lead to a higher vaccination rate in hesitant and reluctant families. Interesting article lovely pictures of your children. Thanks for sharing, very scary! O título do artigo é : Sarampo É Sério ( Uma Lição Histórica de Minha Avó). A autora mostra preocupação com o surto de sarampo nos EUA. Lá, houve uma campanha pela internet contra a vacinação, por mais absurdo que isto possa parecer. A autora relata a morte de um parente antes do surgimento da vacina. Eu perdi um primo, em 1958, aos 4 anos de idade, resultante de uma complicação de bronquite e sarampo. Espero que essa absurda campanha contra vacinações não chegue ao Brasil.Sarampo só mata quem não se vacina por efeito da pobreza ou da ignorância. Reblogged this on Jim Thorpe's Blog. “Those who cannot remember the past are condemned to repeat it”. Growing up my aunt cleaned house for a woman who had polio as a child and was wheelchair bound. That made a very profound impact on me and was the reason I choose to vax my kids on schedule. Thank you for sharing your story. I’ve been wanting to weigh in with my opinion on the measles outbreak and vaccines when I came across The Science of Mom’s article. She pretty much details everything I wanted to say. In our “post measles” generation we don’t understand the severity of the illness. Here’s a reminder. I’ve been reading through the comments, and I love your responses to them, Alice! I need you with me when I am explaining to parents why vaccines are so important. I never feel nearly as eloquent and even-tempered about it as I want to be! Thanks for being such an awesome advocate for kids, and public health. Oh, so sad to read the story of little Frankie… A very important article explaining why we should get vaccinated, it’s really sad that it has become a trends not to get the measles vaccine. Such a moving post. My heart breaks for your family’s loss. Thanks for sharing. This is an excellent piece. Thank you! I grew up in the 50s and early 60s. I had mumps, measles, scarletina, but not rubella. I can remember how careful my mom was when I was sick with measles. She kept a blanket over the window, because she was worried that the strong sunlight would cause me to be blind. I have no idea if this was based on reality, or if it was an old wive’s tale. I remember that I was very sick with all of them, and I certainly wanted to avoid that with my own children. I also remember standing in line at the school to receive my Polio vaccine. They held clinics there so that as many children as possible could be vaccinated. My son and his wife refuse to vaccinate their children, and it worries me terribly. She believes the whole autism link spread by Jenny McCarthy, which, of course, has been disproved over and over, but she refuses to believe the experts. She’s a nurse, so she thinks she’s smarter than them. She now uses the mercury scare to add to her reasons. There’s no convincing her. I am so sorry for you. My grandma’s brother died when he was 7 years old from the measles. I did a paper on this and see no reason to not get vaccinated, it is terrible to potentially cost children their lives because their parents don’t want to protect them. Enjoyed this post. Often when I’ve heard discussions on the issue of whether or not to vaccinate for Measles I want to urge people to talk with their grandparents. Your story was poignant and great. I’m sorry you lost a family member to measles. I am thankful we are spared so many things because we are blessed enough to have access to vaccines. Thank you for your personal story and for sharing your family’s great loss of Frankie. If only the young parents will listen! Reblogging this specifically because Colorado has the lowest rate of MMR immunization in the country. Research is the key to an informed choice. Research who or what companies with financial interests in vaccine up take have published the data & information your using to make decisions on vaccination. Often research is funded by the pharmaceutical company producing the vaccine. Mother of three very healthy unvaccinated children. You know I’m all for research, but take care that you’re looking at reputable sources, as there is so much misinformation about vaccines out there. Some research is funded by pharmaceutical companies, it’s true. They have to foot the bill for developing and testing these vaccines, as it’s an extensive, arduous process (as it should be) to bring a vaccine to market. They have to document it’s safety and efficacy very clearly. Other research is not done by pharmaceutical companies. Particularly in the early stages of vaccine development, much of that is occurring at universities and research institutes. Regardless, you don’t just have to trust the pharmaceutical companies here. There’s an abundance of evidence, funded by many different sources, showing the safety and efficacy of recommended vaccines. When you do your research, be sure you consider ALL of it, not just a few cherry-picked studies. Great to see current discussion on this topic. There is no doubt that vaccines have reduced these diseases in society. My only concern is that not all children react positively to them. Yes there are cases where children die or have ongoing problems due to contracting the disease, but be aware the vaccine can also cause damage in a small percentage of children, problem is you have no way of knowing if your child will be one of these unfortunate cases. Reblogged this on triciamd25's Blog. Yes it is serious. It is so hard to decide what to do when our information is so limited. We don’t know if we are being told the truth about the inoculations we give our children and there are so many “stories” out there. 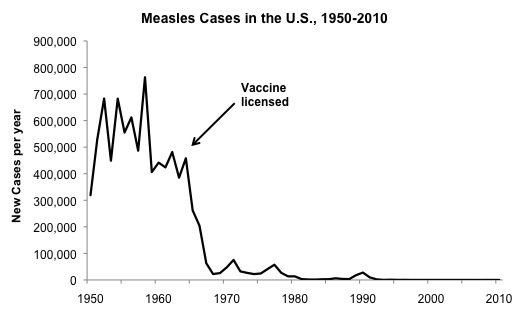 But we do know one thing, through the years, we had measles gone completely in the US. Why are they back?? People should know that measles can cause encephalitis even ten years afterwards. My brother-in-law had measles as a toddler and seemed perfectly healthy and normal until when he was 15 he became sick. At first the family thought it was mental illness but it eventually miimicked early Alzheimers. The family was living in Morocco and at the time the vaccine was not available. He remained in a semi comatose vegetative state for two years, cared for at home by family members until he died at the age of 17. This is admittedly extremely rare, but it does happen in a small percentage of cases, and there is no cure and no funding for research. Cases are reported in India still every year. So true. I think we forget how serious these illnesses we vaccinate for are….We vaccinate and it is not just for our kids benefit. Thank you for a well informed article on a very important topic. Being a health care professional, I believe that non-vaccinating individuals are being reckless and endangering those who cannot medically have the vaccinations. I’m so glad knowledgeable folks like you are speaking up and telling their stories. For too long the anti-vaccine folks dominated the conversation and silenced those who disagreed. I have a son with autism and I had to listen to those who said I caused it by getting him vaccinated. There’s an arrogance about those anti vaccine folks that can’t be ignored and no amount of science will ever get them to change their views. Thanks for this informative and heartbreaking post. I’m at my wit’s end with anti-vaccine people. I can’t understand the impulse to reject life-saving science. The more informed conversation there is about this subject, the better chance we have, I hope, of turning the tide back to sanity and good public health. Thank you to the “Science of Mom” for such good piece on vaccination. My daughter is about to receive her MMR vaccine and while we are thankful that vaccines exist to protect her, we are also so happy to be able to protect those who are unable to receive vaccines from illness and death. Not vaccinating is exercising freedom of action without exercising freedom of thought. This notion that experts, professionals and the government are evil needs to stop. It’s perfectly fine to be critical but finding facts to support beliefs is not the same as finding facts and forming changeable, informed ideas about the world. Your post was wonderful and I hope people take from it. Vaccines has their purpose and were designed to give us a life without these serious medical conditions. I am a child of the 50s and thankful for all the vaccines offered today in the world to give our children a healthy and longer life span. Reblogged this on Gourken's Brain Dump (more of a trickle actually). I had measles, mumps, and chicken pox. It certainly was miserable. One of those resulted in pnuemonia. I remember laying beneath an open window and getting tepid water baths to bring the fever down. Aspirin had been discovered to cause Reyes syndrome, so there was no other way to bring the fever down. I coughed so much, I developed a hernia for which I had to have surgery. I missed so much school, I had to repeat kindegarten. At five, I thought it was because I was stupid. My brother lost 50 percent of his hearing. I was a child during the 60s. Not that long ago. Two of my children have a genetic form of autism…and are fully vaccinated. One is a computer programmer. The other has a degree in accounting and is working as an IT help technician. Today she taught other workers how to use data bases. Reblogged this on Snippets and Tidbits. My mother aged 85 has been deaf in her right ear, probably a complication of measles when she was four years old. Thanks for sharing this post and your research – it’s important to spread the word. Wishing you and your family the best. I just cannot understand how educated people can not vaccinate their children. Reblogged this on Hail & Grapeshot. Thank you so much for sharing Frankie’s story with us. My uncle was a first grader when he caught measles in 1947, and as a result of encephalitis became brain-damaged. He was a bright, mischievous boy who loved to play with trains and tease his sisters- and then one day he went to the hospital with a high fever and came back a different person. My grandparents couldn’t afford to care for him at home after he became a teenager and he lived in a state home until he died a decade ago. Our family would visit him weekly so the workers knew he had people he loved him, but the brother my mom loved so much died in the 1940s. So sad. Measles can be prevented through vaccinations and yet some people even in a civilized society like U.S measles is still claiming lives. Mostly the blame goes to politicians and the media that misinforms the public.Every time there is an outbreak of measles in U.S ,cable news outlets are quick to pounce on the story ,only to distort it .News anchors who have no medical background discusses and give solutions and half of the time their ideas are wrong.Measles outbreak can be controlled or eliminated if parents adhere to medical advice not the media. I had the measles as a child, despite being vaccinated. This blog posting tells of the recent uptick in cases – and the complications that can result. A good read. Thank-you so much for advocating for this!